Apple's super-sized iPad has the performance to match. Apple's super-sized iPad has the performance to match, thanks to its A9X processor. To gauge the performance of the iPad Pro, we ran several benchmark apps: GeekBench 3 and TabletMark to test overall speed, 3DMark for graphics performance, and several browser-based tests. For reference, we also included results from a $1299 Microsoft Surface Pro 4 with an Intel Core i5-6300U processor, an Intel HD 520 GPU, and 8GB of RAM. In the Geekbench 3 64-bit Multi-Core test, the iPad Pro is 27 percent faster than the iPad Air 2 with its A8X processor, and 78 percent faster than the iPad mini 4 with its A8 processor. In the Geekbench 3 64-bit Single-Core test, the iPad Pro’s results are even more impressive, almost doubling the performance of the iPad Air 2 and the iPad mini 4. Longer bars/higher scores are better. 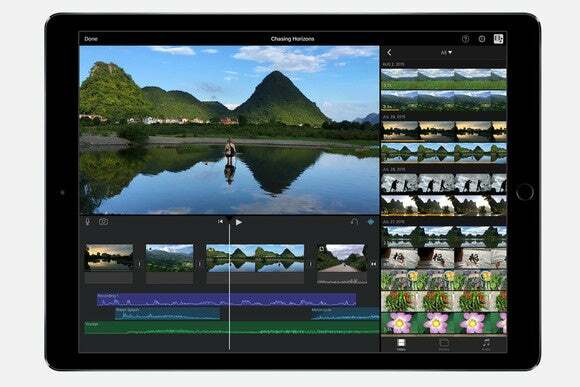 The iPad Pro saw a 24 percent speed improvement in the TabletMark V3 Overall benchmark over the iPad Air 2, and a 29 percent boost over the iPad mini 4. The iPad Pro has a significant advantage over the iPad Air 2 and iPad mini 4 in 3DMark graphics performance. The Ice Storm Unlimited Graphics test is used to gauge GPU performance. The Ice Storm Unlimited Physics test puts more of an emphasis on the CPU.